Please welcome guest poster Julie Duffy today. Julie and I connected on Twitter and I'm glad we did! She is a writer and also the creator of A Story A Day--the extreme challenge to write a story every day in May. (And guess what–you can start any time. If you get going now, think how many stories you'll have by the end of the month.) 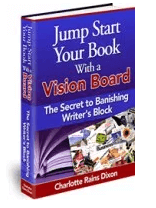 Please join me in welcoming Julie, I think you'll like her ideas for overcoming writers' block. Writer’s block can come out of nowhere. It can be temporary and related to one project, or it can be chronic, stopping you from writing anything creative. Sometimes, it’s important to figure out the underlying problems that are contributing to the block. Is it a technical problem with the work? Have you lost the plot? Do you hate the characters? Finding out the root cause allows you to start forming strategies for tackling the block. But sometimes you just need to knuckle down and do the work. For those days, here are 15 fundamental fixes to help you work through your worst writers' block. Take a look at something you've written before. Don't waste time worrying about what doesn't work. Start it again, rewrite it (or sections of it, if it is a longer work) without the use of 'cut and paste'. Just take another stab at it. Or retell a classic story, just to warm up. Sometimes you literally have to put the pen on the paper and start making shapes. It doesn't matter what you write, but putting something — anything — on the page will snap you out of your terror. Keep the pen moving until you're thinking only about the story and not about yourself. Put your pen on the paper. Put your fingers on the keyboard. Make some words. If you are horribly blocked, don't try to write a story as soon as you sit down. Free-write. Write about anything: about what you want to do, about why you hate your project, what you're trying to do with this story. You should either solve some of your problems or get so sick of listening to yourself whine that you decide you'd rather be writing a story than complaining any more. Turn off the Internet. Yes you can. Unplug the router, if you're home alone, or turn off the WiFi on your laptop. If you can't pull the LAN cable out of the back of your computer without upsetting your techies, do the next best thing: turn off email notifications, Twitter pop ups and Facebook, IM or any other chat windows. Ignore your calendar. Set a timer or a word count and go. If you have an old busted laptop, use that and store your work on a USB key. Turn off your phone if it gets email alerts. Do whatever you have to do to kill all the distractions. If a scene or a story is not working for you, try writing it (again) from a different character's point of view, or in a different voice. Even if you decide not to use the piece, writing it from a different point of view may show you why it wasn't working before, or why you were resisting working on it. Here's a tip: you don't have to write your story in the right order. If you can't get excited about the scene right after the opening, leap over it and get into a meatier part of the story. Then at least, you'll know exactly what you need to set up in that ho-hum scene that you don't want to write today. If it wasn't everyone would be doing it (and they're not. Trust me. Even though you know a lot of people who write, there are actually a larger number of people out there who aren't writing. Weird, but true.) Every professional writer who ever gave an honest answer in an interview has said some version of, "I just have to sit down and write, you know? It's a job." You have to take it seriously. No matter how much you love your job, there are days when you'd rather not be doing it. The same goes for writing. But you have to turn up anyway. It is OK to be working on more than one project at once. Now, don't go crazy because you'll never finish anything if you keep abandoning projects when they get hard. But it is OK to switch between a project or two when you need a change. If you're having trouble writing a lot, then don't worry about writing a lot (unless you have someone standing over you with a contract and a stop watch). Write as much as you can. Write a little bit more, then stop. If you can get away with it, don't make yourself sick of a story by pushing too hard. If your story is stuck, maybe it's because your characters can't take that road trip you've been setting up. Even if you really, really wanted to write about a road trip, maybe you need to accept that this is not the story where it happens. Trying to write something when you know it's not working is a sure route to writer's block. Make writing the first thing you do, before the distractions of the day get their claws into you. The act of writing every day proves to yourself that you are serious about this writing business. Writing something as small as Twitter fiction (140 characters) on a busy day at least means that your imagination knows it can’t go to sleep. If you know you HAVE to write something today, your imagination and your subconscious will keep looking around for ideas. In the process you will pay much more attention to the world around you — something that will pay off later, when you are working on another piece. Maybe you've got high-flown ideas about writing what you think you 'ought' to be writing. Or maybe you've heard that a certain type of fiction sells better, or is better regarded, or is more likely to get you an agent. Maybe all these ideas have got you writing work that isn't you, that you don't love. 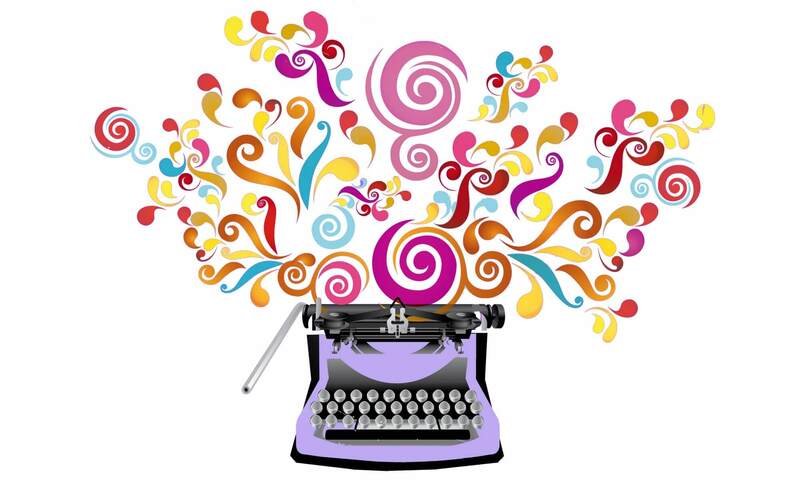 Take some time out and write something with no thought of publishing. In fact, promise yourself you won't show it to anyone, that it's just for you. Above all, keep writing. Even if it's bad, even if it's just OK. Words on the page can be fixed. So stop worrying and write something! What about you? What tricks do you use to jumpstart your writing? 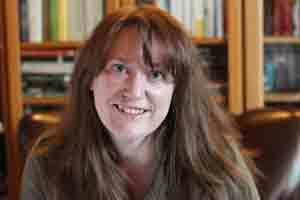 Julie Duffy is a writer and the host of StoryADay May (Storyaday.org), a creativity challenge for short story writers. This article is an excerpt from her ebook Breaking Writers' Block: A StoryADay Guide.